Mentioned in both Gartner and Forrester research, RavenDB is a pioneer in the newest database technology with over 2 million downloads and thousands of customers from Startups to Fortune 100 Large Enterprises. RavenDB is an open source NoSQL Operational Document Database that is fully transactional (ACID) across your database and throughout your cluster. For a fraction of the cost of a relational database, RavenDB offers high availability, high performance, and zero administration and self-optimization. It is designed as an easy to use all-in-one database, striving to minimize the need for third party addons, tools, or support. You can setup and secure a data cluster in minutes. RavenDB has a built-in storage engine, Voron, that operates at speeds up to 1 million reads per second and 150,000 writes per second on a single node. Watch our intro video here! Works well with existing relational database. ETL feature and migration to Document model available. RavenDB is easy to setup and secure. You can do it in a matter of minutes. Easy to use and fast to production. A large enterprise was up and running in 90 days. Easy query language. RQL uses 80% of SQL syntax, making it easy to read for 99% of developers. All in one Database. Storage engine, full-text search engine, MapReduce engine, GUI Studio are all native. No foreign moving parts. Multi-Model. Great for microservices. Document, Key-Value, Counter, Graph API lets you use multiple instances for different functions without having to buy different databases. No Overhead. RavenDB can go virtually unattended. It is ideal for embedded solutions. Performance. 1 million reads per second, 150,000 writes per second per node. ETL. Migrations to relational databases makes working with standard databases easy. Migration tools available for CosmosDB and MongoDB along with relational databases. Comprehensive GUI. Known as the Apple of Dashboards, management studio lets you monitor operations and performance of your database. Perform functions like adding new nodes with just a click. No single point of failure ensures 100% availability. Assignment failover keeps tasks running on available nodes to keep you in business under any situation. Easy to Scale. Distributed database lets you set up nodes in an instant. Maximum hardware utilization. RavenDB operates on Raspberry Pi and ARM chips because it gets the most out of the hardware it runs on. A Quick Food Service Enterprise with 1.5 million RavenDB instances running worldwide throughout 37,000 restaurants, and many more. An industrial parts distributor running RavenDB on robots that monitor quality assurance. A hedge fund using RavenDB to record 10% of all blockchain trades worldwide and produce real-time analytics to maintain trading algorithms. 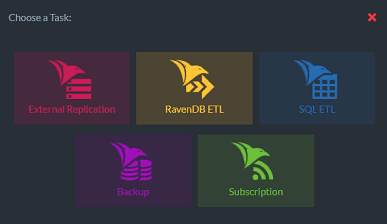 RavenDB is available on-premise and in the cloud. RavenDB Community: You can take a free instance of the RavenDB Nonrelational Distributed Database with up to 3 nodes in your cluster, 3 cores, and 3 GB of memory. Enjoy replication and fault tolerant assignment failover along with fully transactional ACID guarantees for data safety. Included is our GUI management studio, local backups, security certificates, and a TLS 1.2 & X.509 security in transit. RavenDB Professional: This includes everything in a RavenDB Community license including up to 5 nodes for your database cluster, up to 40 cores, and 240 GB memory. Added are cloud & remote external replication, and ETL to SQL databases and from SQL to RavenDB. RavenDB Enterprise: Everything in a Professional license including unlimited nodes in your cluster, unlimited cores and unlimited memory. 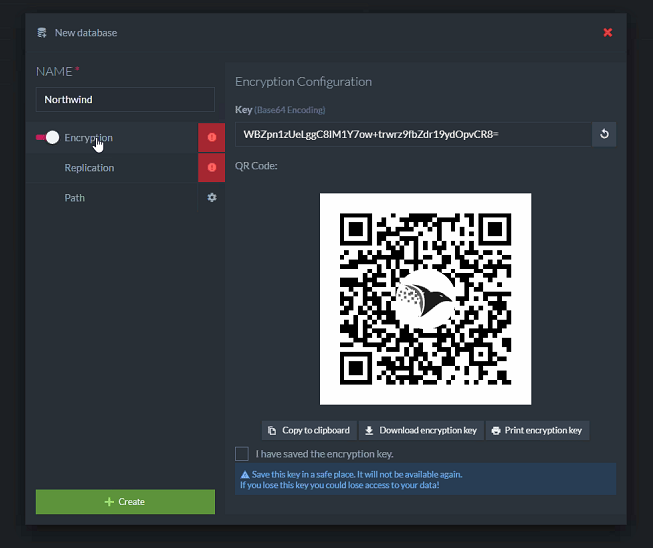 Features like snapshot backups and storage encryption are featured in this edition. You can reach us at https://ravendb.net/contact to connect with a solution architect who will be happy to analyze your database requirements and recommend the optimal deployment architecture that suits your needs.